A Lithuanian militia in 1941 leads a group of Jews to the site of their execution, at Ponary, near present-day Vilnius, Lithuania. Zuroff: Gang was "roaming the streets of the city looking for Jews with beards to arrest"
Editor's note: CNN's Gena Somra and Farhad Shadravan traveled to Lithuania with Efraim Zuroff in November 2008, reporting on his journey and producing the video in this piece. (CNN) -- Efraim Zuroff's great-uncle was kidnapped in Vilnius, Lithuania, on July 13, 1941, by a gang of Lithuanians "roaming the streets of the city looking for Jews with beards to arrest." "He was taken to Lukiskis Prison -- to this day the main jail in the city -- and was murdered shortly thereafter," says Zuroff. So were his wife and two boys. Born seven years later in Brooklyn, New York, Zuroff was named for his great-uncle and grew up questioning his American-born parents about the Holocaust. What were they doing? What could they have done? "And my parents -- they said, 'Listen ... we went to demonstrations, we tried to do what we could. But we didn't really know what was going on, and it wasn't clear what we could do. " That answer did not satisfy Zuroff. "I wanted to know what the average Jew sitting in his living room in Baltimore, New York, Chicago, Miami, could have known by reading the newspapers. "I wanted to try and understand how something like the Holocaust could have happened." Zuroff would go on to spend his life hunting Nazis and ensuring their punishment. Now the Israel director of The Simon Wiesenthal Center, he has also worked for the U.S. Justice Department's Office of Special Investigations, which is in charge of Nazi war crimes prosecutions. Since the fall of the Soviet Union, more names of alleged Holocaust criminals have turned up from Lithuania than from anywhere else in Eastern Europe, says Zuroff. But prosecuting those criminals for war crimes has been a disappointment, says Zuroff, because since its independence in 1991, Lithuania has failed to punish a single one of its own Holocaust war criminals. Now, says Zuroff, Lithuania is trying to rewrite Holocaust history. "Nowhere in the world," he says, "has a government gone to such lengths to obscure their role in the Holocaust. ... Their mission is to change the history of the Holocaust to make themselves blameless." Within five months of Nazi Germany's invasion in the summer of 1941, most of Lithuania's 200,000 to 220,000 Jews were dead -- shot and left in massive sand pits and mass graves along with thousands of ethnic Poles, the mentally ill and others. By the end of the war, the percentage of Jews killed in Lithuania -- 90 to 96 percent -- was as high or higher than anywhere else in Europe. 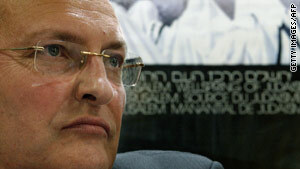 Efraim Zuroff's namesake, his great uncle, was murdered after being kidnapped in Lithuania during the Holocaust. "And the question is, 'Why were the numbers so high?' And here we come to a subject that is very, very delicate and difficult," says Zuroff. "One of the main reasons so many Jews were killed here is because of the help of the local population -- of the Lithuanians." The pace of the mass murder of Lithuania's Jews -- and the active participation of the local population -- are meticulously recorded in two of the most infamous documents of Holocaust history. The Jaeger Report, written by Karl Jaeger, the SS commander of a Nazi killing unit that operated around Vilnius, Lithuania, is a matter-of-fact account of those killed each day under his command. September 1, 1941, a typical entry, lists those killed for the day as: "1,404 Jewish children, 1,763 Jews, 1,812 Jewesses, 109 mentally sick people, one German woman who was married to a Jew, and one Russian woman." In the report, Jaeger notes the "essential" help of local Lithuanians and says 4,000 Jews were "liquidated by pogroms and executions," exclusively by Lithuanian partisans. The final count of those murdered starting in the summer of 1941 and ending in November of that year is 133,346 -- the vast majority of them Jews. "Ponary Diary, 1941-1943: A Bystander's Account of a Mass Murder," was written by Polish-Lithuanian journalist Kazimierz Sakowicz, who was living within earshot of the biggest killing field in Lithuania, the sand pits of the Ponary Forest. "A woman with a child in her arms and with two small girls clinging to her dress: A Lithuanian begins to beat them mercilessly with a club. A Jew without a jacket throws himself on the Lithuanian to defend the woman being beaten. A shot is fired -- he falls, practically at the feet of his Jewess. A second Lithuanian seizes the woman's child and throws him into the pit; the Jewish woman, like a madwoman, runs to the pit, followed by her two little children. Three shots are fired." 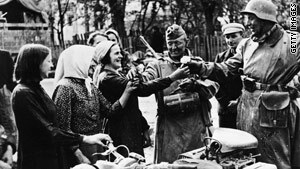 Lithuanians welcome Nazi soldiers with flowers in the summer of 1941. The Nazis arrived after a year of occupation by the Soviet Union that was so brutal that many Lithuanians welcomed the Nazis when they arrived in June 1941. Nazi propaganda painted local Jews as communists in league with the Soviets, stoking existing local anti-Semitism, and prompting the provisional government in Lithuania, and thousands of Lithuanians, to help facilitate the Nazi policy of liquidating the local Jewish population, according to Yale Historian Timothy Snyder, who has written extensively about the region. In reality, Jews -- making up much of the "bourgeois" merchants and intellectuals that the Soviets sought to "re-educate" -- bore as much or more Soviet brutality as any, says Snyder. And yet, even today, says Leonidas Donskis, a Lithuanian MP in the European Parliament, "quite a large segment of Lithuanian society is still inclined to consider Jews as collectively responsible for the mass killings and deportations of civilians, as well as for other atrocities committed during the Soviet occupation." This myth is "just the adoption of the disgraceful Nazi rhetoric concerning the Jew and communism ... which is one of the cornerstones of [Nazi propaganda chief Joseph] Goebels propaganda," says Donskis. In the 1990s, soon after Lithuania regained its independence, the U.S. Justice Department's Office of Special Investigations, consulting with Zuroff, discovered dozens of Lithuanians with suspicious wartime backgrounds living in the United States. 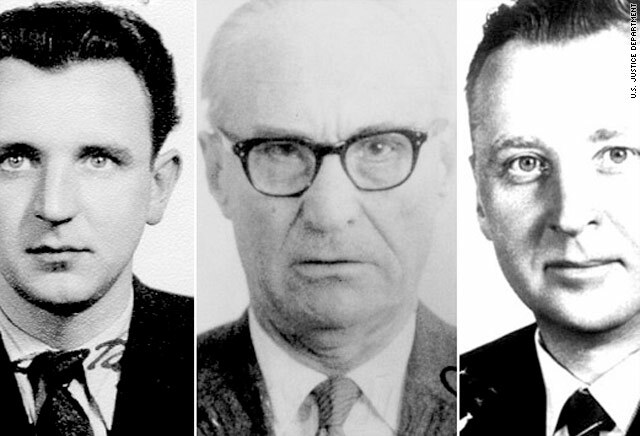 Nineteen were successfully prosecuted for concealing their wartime collaboration with the Nazis during the American immigration and naturalization process. Since the United States had no jurisdiction to prosecute them for war crimes, it took the maximum legal action it could -- stripping them of their citizenship. Twelve ended up in back in Lithuania, each with an extensive case file detailing the evidence gathered by OSI. But the Lithuanian prosecutor's office showed no inclination to pursue the cases and Lithuania, for the most part, says Zuroff, "welcomed them back with open arms." Only after several years of delays and significant international pressure, says Zuroff, were three of the cases prosecuted. In the end, no one was ever punished. "The trials were a farce," says Zuroff. "The defendants were never even forced to appear at the trials." The prosecutor "turned an incredibly important and highly significant process into a joke." Audrius Bruzga, Lithuanian ambassador to the U.S., says the context of the Holocaust in Lithuania must be considered. Audrius Bruzga, Lithuanian ambassador to the United States, says Lithuania facilitated the trials to the extent that it could. The problem was not a lack of political will, he says, but a lack of time, because of the age of the defendants. "People simply died during the process," he says, "and the others perhaps were not found fit to stand trial. ... It takes a lot of time to put a case on." But others say the delays were purposeful. The prosecutor's office was afraid of being called unpatriotic, says Donskis, so it dragged out the process in the hopes that the suspects would die or become old and sick enough to be declared unfit to stand trial or serve time. "Basically the country failed because not a single [war] criminal was brought to justice. It's as simple as that," says Donskis. Contrast Lithuania's record with that of Croatia, which, as a newly minted nation, brought Dinko Sakic to trial in 1998 for crimes committed during World War II while commander of the Jasenovac concentration camp. After Zuroff tracked him down, Sakic was extradited from Argentina and convicted by a Croatian court for taking part in the murder and torture of thousands of Jews, Serbs, Gypsies and anti-fascist Croats. The court sentenced him to 20 years in prison, the harshest penalty under Croatian law at the time. "The Sakic case was really a watershed event in the history of Croatia and something that really changed the tenor of the public discussion about the Holocaust and was a wake-up call for Croatian society," says Zuroff. "In a Croatian courtroom, with a Croatian flag, with a Croatian judge in Croatian languages, and many witnesses -- Croatians told the truth" about Holocaust crimes by Croatians. "And it was broadcast all over the country in radio, TV, print, day in and day out." 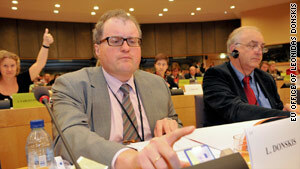 Leonidas Donskis votes as a Lithuanian MP at the European Parliament. For Zuroff, the Sakic case is a success not because it put an old war criminal in jail -- though that was necessary -- but because it helped ensure an honest reckoning of Croatia's past. Germany has also gone to great lengths to face its ugly past. "They, more than any country," Zuroff says, "have tried to make atonement for the Holocaust and have paid billions of dollars in reparations -- although it's not only the issue of money but it's also the issue of education against extremism, xenophobia, the banning of Nazi symbols. ... You can't say Germany is not making an honest effort to face its past." But you can say it, says Zuroff, about Lithuania. The state-funded Museum of Genocide Victims in Vilnius, Lithuania, is an impressive structure. In a country of relatively humble means, it stands out for its size. Its stated objective is to "collect, keep and present historic documents about forms of physical and spiritual genocide against the Lithuanian people." But the story of the more than 200,000 Jews killed in Lithuania by the Nazis and their local collaborators is not part of the museum. Instead, the museum memorializes Lithuanian victims of Soviet occupation during World War II. As one Lithuanian put it, "We have to learn our own history, before we learn their [the Jews] history," implying the murdered Jews were not Lithuanians -- but they were. Jews have been a constant and integral part of Lithuania for hundreds of years. Before the war, the city of Vilnius was known as the "Jerusalem of Lithuania." Jews made up more than a third of the city and contributed to its intellectual and creative elite and to its complex, vibrant, social fabric. 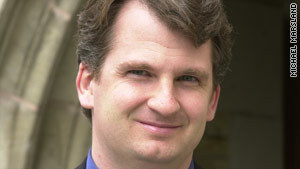 Yale's Timothy Snyder has written extensively about Lithuania and the Baltic states. The question of excluding Jews then becomes "a question of whether you're embracing your own citizens or not," says Snyder. Donskis agrees. "Instead of accepting the Holocaust as the tragedy of Lithuania, many people are still inclined to regard the Holocaust to have been something external." Instead, the nation focuses on the the horror of the Soviet occupations of Lithuania. The crimes of the Soviets in Eastern Europe and in Lithuania in particular are not as well known in the West as they should be, says Snyder. 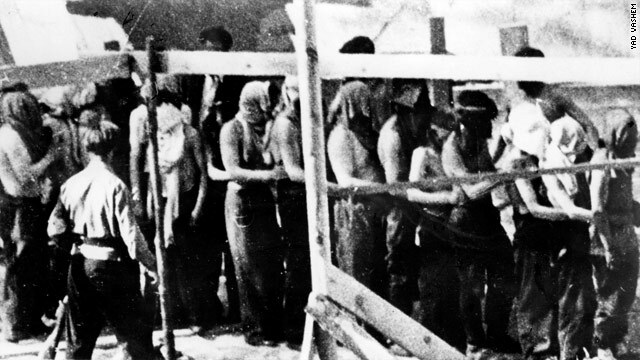 In the first occupation, from the summer of 1940 to the summer of 1941, the Soviets deported, jailed and murdered anyone deemed a threat -- ethnic Lithuanians as well as Poles and Jews. Soviet brutality continued when the Red Army re-conquered Lithuania in 1944 and the almost 50 years of Soviet rule that followed were brutal by any standard. But did Soviet crimes amount to genocide, as the name of the museum suggests? 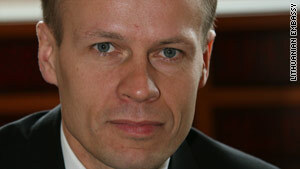 Donskis calls the idea "profoundly embarrassing." "Historical and political evidence doesn't support the theory that the Soviet Union exterminated Lithuanians on national or ethnic grounds." Lithuanians who chose the Soviet regime "were welcome in the Red Army. They were welcome among Soviet bureaucrats. They had splendid careers. And we know that the Lithuanian Communist Party was led by [non-Jewish] Lithuanians. That's why the concept of genocide is simply not applicable here." Ambassador Bruzga is more circumspect. "We do not equate one pain to another pain, one loss to another loss. But we would like to take a broader, a holistic view on what happened at that time in Lithuania -- and how it could happen that those crimes were committed and people suffered ... no matter who they were -- what nationality, what religion." Asked whether Jewish Lithuanians, who so obviously suffered a genocide, should be included in Lithuania's Museum of Genocide Victims, Bruzga says, "It should be perhaps looked into ... I don't see why not," but then adds, "It could be one museum, it could be two or three museums." The Holocaust in Lithuania, says Bruzga, has to be considered in the context of "other developments and crimes that surround it." "Why were there a number of Lithuanians who took part, some of them willingly, in the murder of Jews who were citizens of their own country -- the same people living in the same land and actually in the same neighborhood? ... What unleashed that kind of monstrosity?" "Before we take many skeletons out of the closet, we will not get a catharsis. And perhaps we will not be a peace with our past and ourselves," says Bruzga. "It will be impossible for Lithuania to come to terms with its history ... until the country's elite admits that the provisional government of Lithuania in 1941 collaborated with the Nazis and acted against Lithuanian citizens. Unfortunately, the provisional government ... is praised up to the skies in Lithuania." For Zuroff, Lithuania missed its best opportunity for catharsis by failing to punish even one of its own citizens for Holocaust crimes. "The Lithuanians squandered the best chance they had to get that burden of guilt off of them. And now it's going to take them 100 years to get rid of it. The only way they will succeed is through education, documentation, research -- and a lot of pain." In August, the Wiesenthal Center will release its 2010 Annual Report on the Worldwide Investigation and Prosecution of Nazi War Criminals. Lithuania, Zuroff says, will receive an F.
CNN's Gena Somra and Farhad Shadravan contributed to this report.